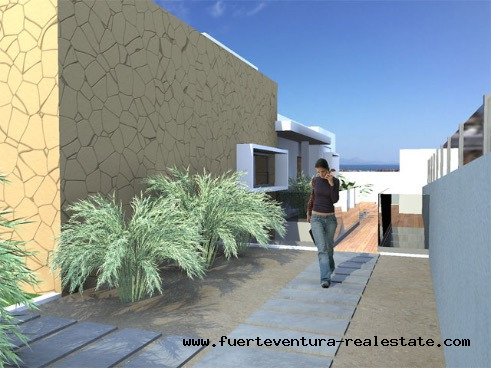 Urban plot of 621 sqm located in a new residential area of Corralejo, Panorama 3 Islas, in the municipality of La Oliva, Fuerteventura. 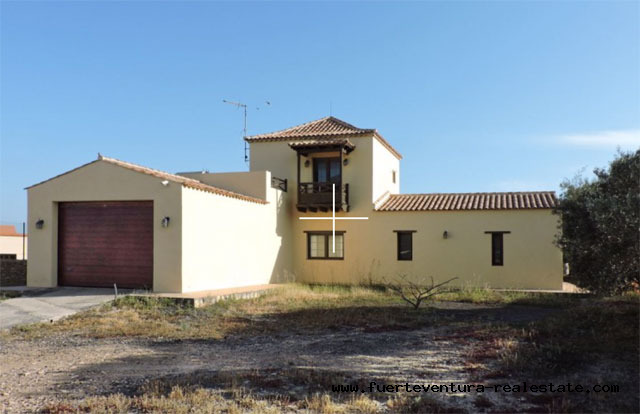 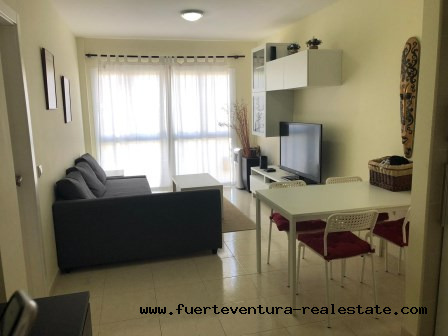 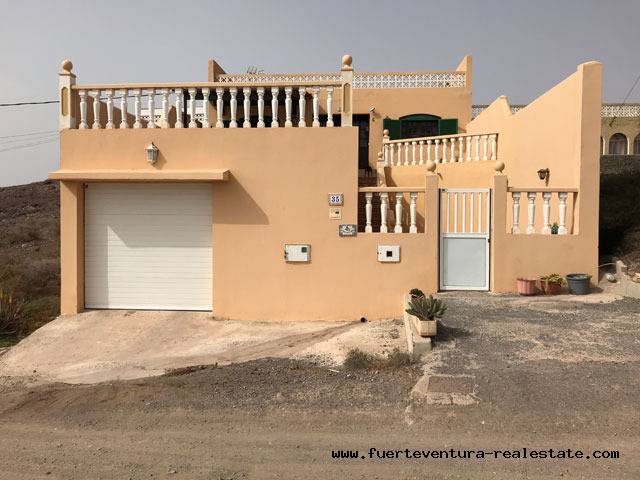 The situation of this land, located in the upper part of Corralejo, is perfect and offers some of the best views of the sea, the island of Lanzarote, the islet of Lobos and the town. 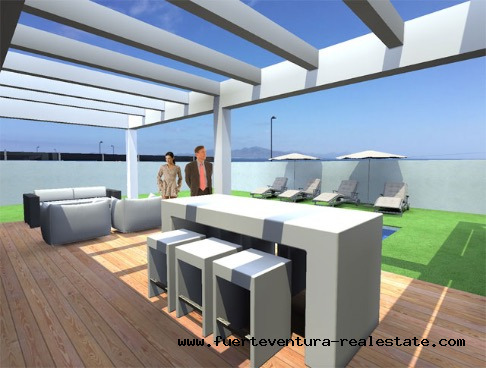 It is located on the corner and has the possibility to build 2 floors, so you will always have views. 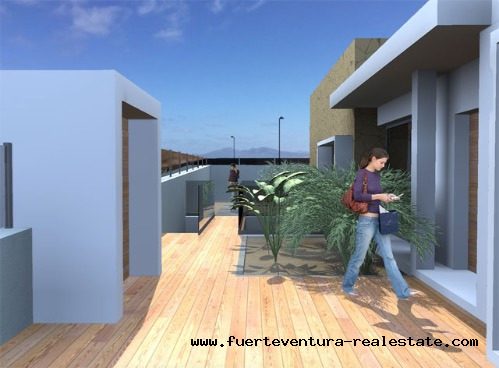 The spectacular situation of this urbanization offers unique panoramic views of the dunes, sea and islands Los Lobos & Lanzarote. 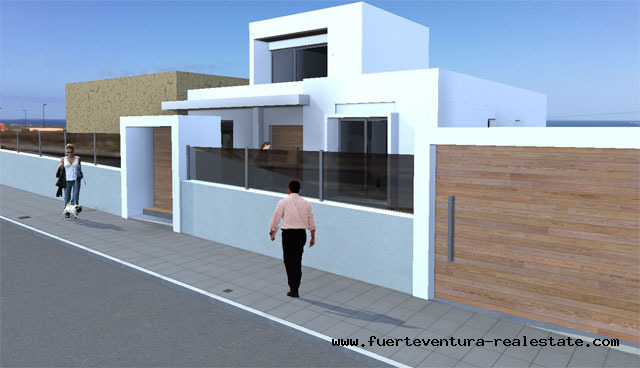 In the "Panorama Tres Islas" Urbanization, plots of 600 sqm with sea views in Corralejo are sold. 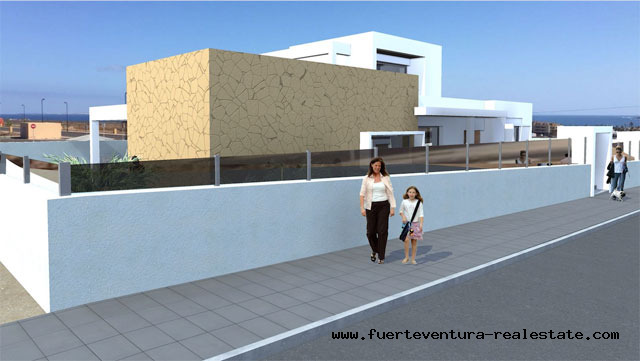 The urbanization is located in Morro Francisco de Corralejo. 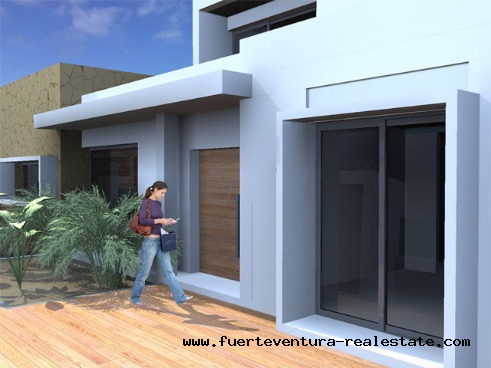 The plots have a buildable area of 25%, which is 150 sqm. 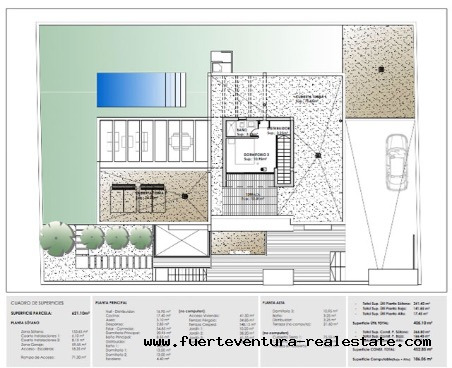 The plots of the polygon 7 offer the possibility of building a basement of 60 sqm and which does not count as a built surface. 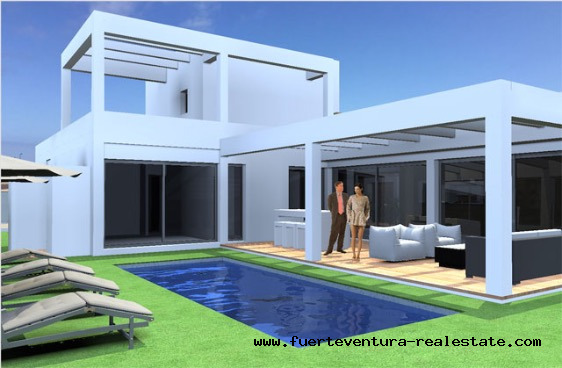 The situation of the different polygons can be seen in the photos. 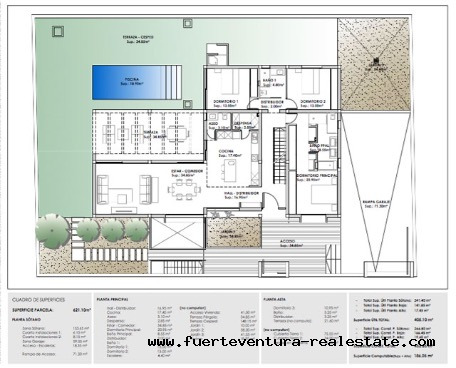 In the polygons 7-8 you can build a villa with a basement. 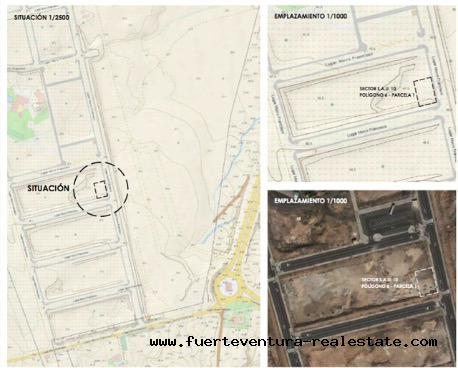 The plots are connected to light and water and the polygon is delivered with paved streets. 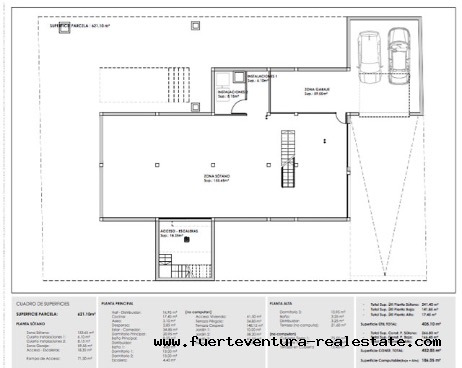 Includes solar, architecture project, geo-technical and topographic study.